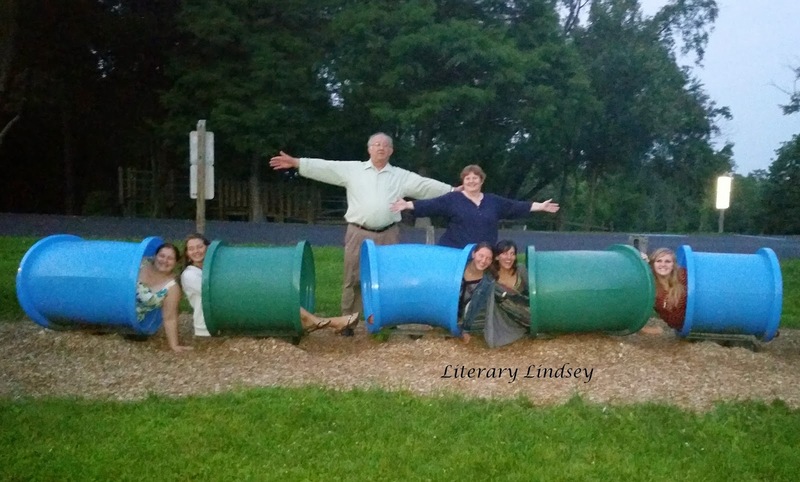 Literary Lindsey: It's Monday and we had a fun weekend! It's Monday and we had a fun weekend! This Wednesday, we packed our bags and dropped the kids off with my in-laws. The hubby and my mom and I got in the car and crossed state lines to take part in my cousin's wedding. My husband performed the ceremony, my mom played the piano, and I sang two songs while the grandmothers and mothers came down the aisle. My dad and sisters joined us later in the weekend and we had a really lovely time together. I think we clean up pretty nicely, though. Congrats on the wedding and I love how everyone in your family has a part in the ceremony--how special! Yes, you all clean up well, and I love the color of your dress. 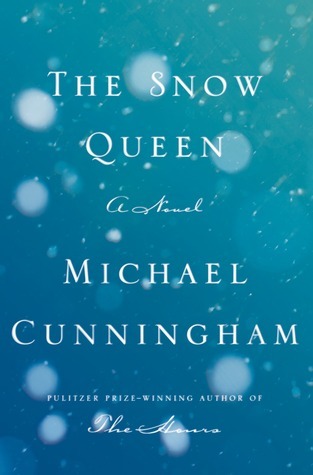 I think I would like to read The Snow Queen, need to know a bit more about it. Have a good week. It's fun to be a part of the big day and it meant that we drove up early and were able to help with some of the last minute details. 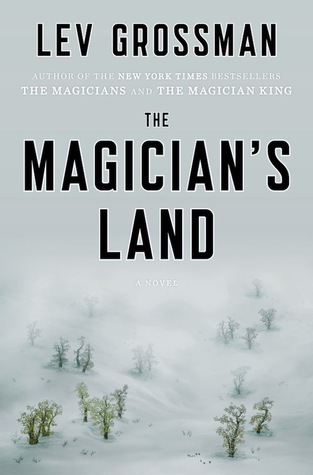 I adore Cunningham's The Hours, so I'm excited to read his newest book. The wedding sounds like a fun occasion, and you look beautiful! These look like good reading selections. I am definitely interested in The Snow Queen. You have good reads this week. Happy reading! Congrats on the wedding! Just added The Snow Queen and The Hundred-Year House to my tbr. Happy reading! Sounds like you had a lovely time. We did have a great time. Now I have to get back to real life! It's so nice that everyone was involved in the wedding! Hope you enjoy The Snow Queen. Thanks JoAnn! I am looking forward to reading it. Sounds like a lovely family wedding! 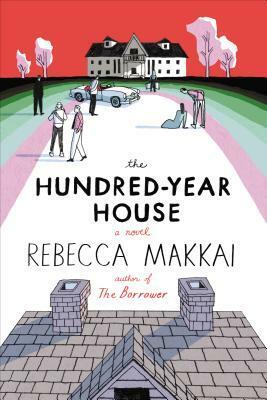 I have been interested in reading The Hundred-Year House. Not sure about The Snow Queen . . . I'll be interested to hear what you think! I just finished The Hundred-Year House and found it just ok. We will have to see how The Snow Queen goes! I read Landline this week too! What did you think? It sounds like a lovely wedding! Nice pictures! Enjoy your books this week. I'm between books. I finished "Mexican White Boy" (a young adult novel) yesterday, and I'll start a short book on engaging kids with math either tonight or tomorrow. I might have to check out the book about kids and math! It's not my strong suit but I don't want to pass on the fear to my kids. Nice pics, and looks like a great wedding! Hope Landline was good- her books are so popular right now. Landline was a fun read, but it also had a lot of good insight into marriage and relationships. I look forward to your review of Landline.. I love hearing thoughts on books I recently read... Well, who am I kidding, any old book really. Haha! I've The Hundred-Year house awaiting me on Kindle, I'm really looking forward to reading it! 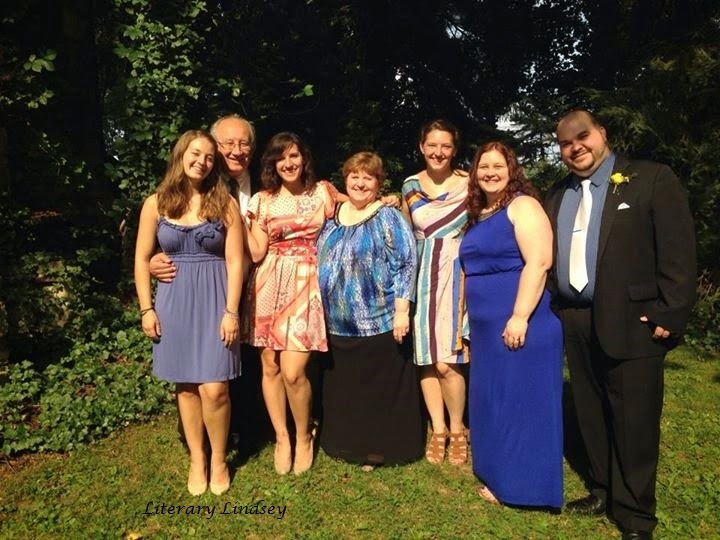 Looks like you had a lovely time at the family wedding! I liked The Hundred-Year House but I didn't love it. I will be interested to see what you think! How is the Makkai book? I read The Borrower by her and liked it a lot. Curious about this one. I liked some of it but there were other parts that bothered me. I think I'm still sorting out my thoughts! I didn't love it....but maybe you will! Sounds like a lovely wedding. I am curious about Landline. It was a great weekend! 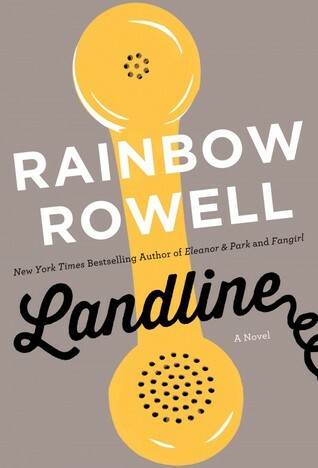 I really enjoyed Landline. Have you read other books by Rowell? You do clean up nicely! :) Weddings are awesome. You had some awesome looking books too. Have a great week! Thanks Heidi. I hope you're having a great week too! It's Monday and the countdown is on! It's Monday and we have had a busy, happy house! It's Monday and this week went by so quickly! It's Monday and we are back from soccer camp!